Welcome to Chick-fil-A. We’re glad you’re here. Whether you’re checking us out for the first time, hungry for tips on what to order or just curious about what makes us unique, you’ve come to the right place. Our roots are southern. Our reach spans the U.S. and into Canada. Our focus is on the people we employee and serve, but what we’re most known for is making a mean chicken sandwich. BEHOLD! The main attraction. Our hand-breaded boneless breast of chicken is seasoned to perfection, pressure cooked in 100% refined peanut oil and served on a toasted, buttered bun with two dill pickle slices. It comes in an envelope designed to keep it piping hot and ready to eat. It’s also available on a multigrain bun. It sounds simple and it is—but its distinct seasoning took founder S. Truett Cathy years to perfect as customers taste tested it inside his original Dwarf Grill. Once they gave him the thumbs up, he started spreading the goodness in 1964 and we haven’t stopped since. In a world where fries are mostly skinny, thin potato waifs, we did something different. Maybe it was the big hair, neon colors or outrageous shoulder pads of the 80’s, but in 1985 we were inspired to roll out the bigger, bolder waffle fry. Just like the fashion world, fast food hasn’t been the same since. We know you crave a biscuit and sandwiches on Sunday (#ClosedonSunday), but we want you to understand why we’re closed and hope you’ll return again hungry on Monday. In a busy, mobile world, we realize time is precious. That’s why we reserve one day each week for our operators and their team members to rest and relax with their families and friends away from the demands and stresses of their jobs. It goes back to our founder, Truett Cathy, who made the decision to close on Sundays in 1946 when he opened his first restaurant in Hapeville, Georgia. Tip: If you really can’t wait until Monday, we have reheatable trays you can order the other six days of the week that come with pre-chilled nuggets or Chick-n-Strips that you can bake in the convenience of your own home, wait for it… even on Sunday. Now that we’ve covered the essentials -- chicken and potatoes -- there are still the sauces. We serve seven of them, and a meal they do make. Our most infamous is the Original Barbeque Sauce. We almost replaced it until we were petitioned to #BringbacktheBBQ this summer—it’s that serious. 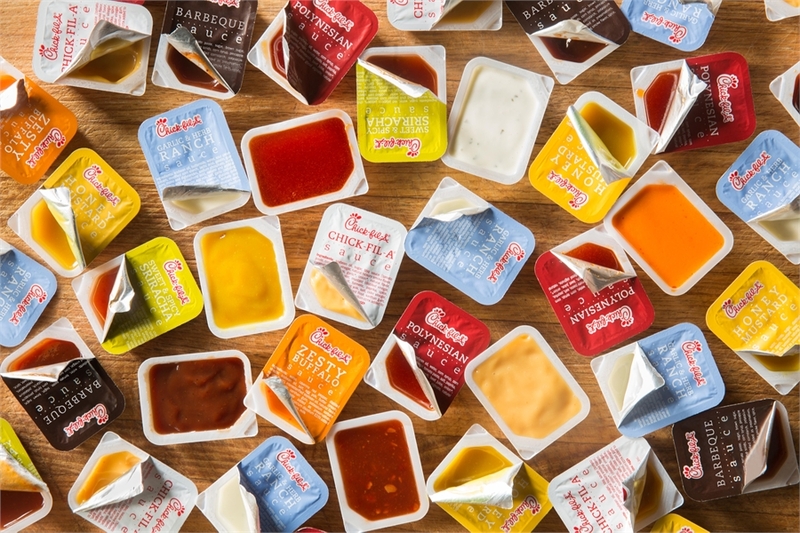 While it’s back to stay, Polynesian is a fan-favorite, outnumbered only by our Chick-fil-A Sauce. It’s not Chick-feel-A or Chick-fil-et. It’s pronounced Chick-fill-A. Few people know that the name Chick-fil-A isn’t just a fun play on words incorporating chicken and filet, it’s also a promise. The ‘A’ stands for Grade A and top quality. It’s what we deliver upon every time you eat with us. Chicken or beef? When a couple renegade cows climbed a Dallas billboard with their plea for people to “Eat Mor Chikin” in 1995, hamburgers were the item of choice among meat eaters. 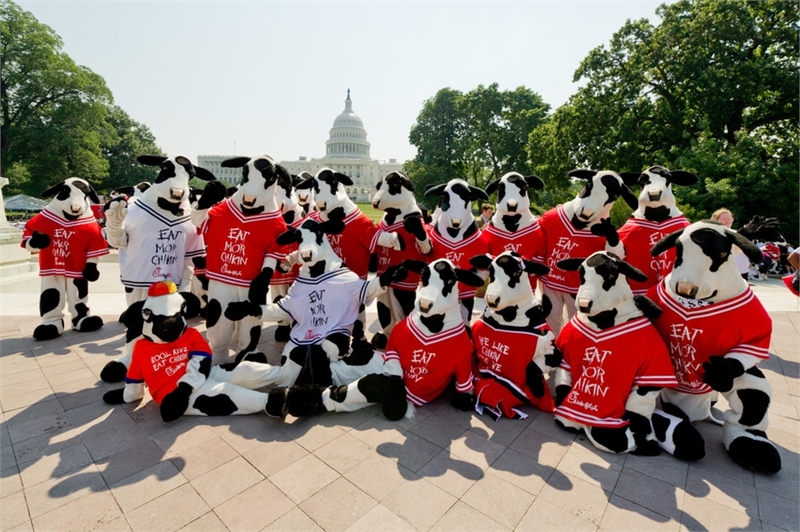 The cows, organized around a message of self-preservation, have been crying fowl and petitioning Americans for more than 20 years to make the switch from beef to chicken. Today, the cows' herds have increased and their message reaches millions - through television, radio, online and on the occasional water tower. They have such a following that each July, herds of humans show up at our restaurants dressed as cows to be a part of our annual Cow Appreciation Day. 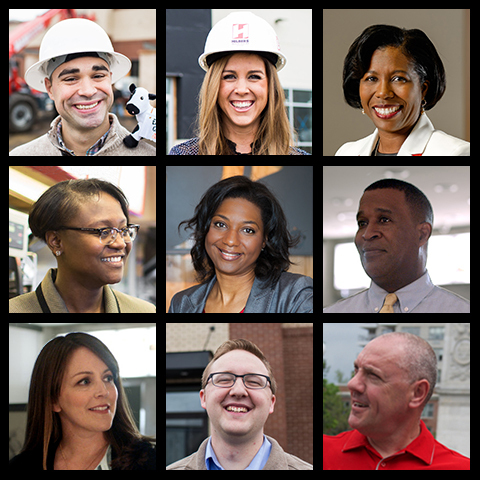 So often we hear from customers sharing stories with us about “my Chick-fil-A.” Whether it’s a team member using sign language to take an order and connect with a customer or an operator on a mission to keep phones from disrupting dinner, we love that each restaurant is unique and a place where communities come together. We believe this is possible because every restaurant is locally owned and operated by one of your neighbors committed to doing and supporting the businesses and people where they live. We have a team of culinary experts and chefs hard at work on creating the next best thing. 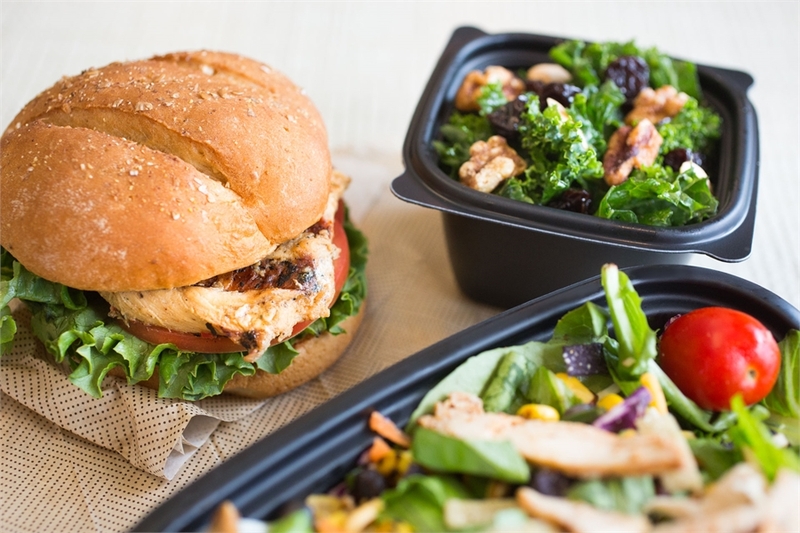 That includes what we call “better-for-you fast food.” From grilled chicken to our Superfood Side made up of kale and Broccolini® , we offer options to meet your dietary needs on any given day. Opening a new restaurant is a big deal and we celebrate it as such. For each grand opening, we invite our first 100 guests from around the community to come camp out. We sing, we dance, we play games, we eat and everyone goes home with a year’s worth of free chicken. Chick-fil-A One, it’s more than an app; it’s a new way of ordering that allows our guests to bypass the line and pick up their meals from the front counter or designated parking spots outside the restaurants. We know you’re in a hurry and have phone in hand, so you can digitally place your order from anywhere and check-in when you arrive. The bonus -- we’ll send you treats as our way of saying thanks. It’s also an easy way to browse the menu, customize a sandwich and save your order for the next time. Breakfast has been called the most important meal of the day. And that whole eating chicken for breakfast—it’s not as crazy as you think. We serve everything from chicken biscuits to sausage or bacon and egg sandwiches, hash browns and yogurt parfaits. We have a new egg white grill served on an English muffin and we serve the only specialty grade, farmer-direct coffee in the business. Hot or cold-brewed iced coffee, this is your breakfast wake up call.